Dubai Islamic Bank (DIB), the UAE's largest Islamic bank, has launched a new home finance product called MyHome. The product is unique in that it gives a customer the flexibility to tailor EMIs as per his/her financial situation. For instance, you can choose a fixed rate for the entire life of the mortgage up to 15 years at a rate ranging from 5 to 9 per cent. Or you could opt for a variable rate with a fixed margin for life linked to Eibor, with a choice of review frequencies of 3, 6 or 12 months. There are also introductory fixed rates for 1 or 2 years and variable rates linked to Eibor thereafter. Varun Sood, chief of home finance at DIB, said: "We listened to what the market was saying. Most products today are one-dimensional. Home buyers are already stressed with what they see as the biggest investment of their lives, they don't want further duress through complicated pricing structures. 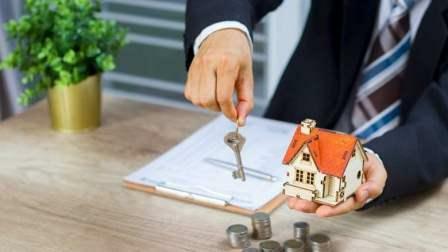 DIB has also introduced a MyHome Credit Card that will help budget for the extras that come with home buying such as the Dubai Land Department registration fees and the brokerage cost. This breaks down the initial down payment into payment plans which will be interest-free for the first 6 months and then charge a rate of approximately 5 per cent for the remaining period. The MyHome product will also offer Takaful protection for the home buyer's family and the property for a fee of Dh41 per month for every million. According to DIB, its biggest home finance clients are first-time home buyers, buyers of family homes and investors looking to purchase an income-generating asset. "The profile of businesses taking out a mortgage is changing. In terms of numbers, first-time home buyers dominate and they mostly take out a mortgage in the range of Dh750,000 to Dh1.5 million. But in terms of ticket size, investors clock in the big numbers, they usually take a mortgage for amounts ranging from Dh7 million to Dh10 million," adds Sood. Although the maximum tenure of a mortgage is 25 years, most UAE borrowers on average pay it off in 7 to 8 years. "Most people take out a mortgage in the range of Dh1 million to Dh1.5 million," concludes Sood.